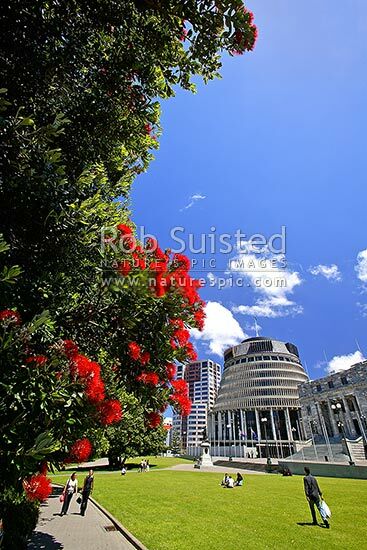 Parliament Buildings - Parliament House with The Beehive (Executive Wing) and Bowen House left. Pohutukawa flowers. Christmas time, Wellington, Wellington City District, Wellington Region, New Zealand (NZ), stock photo.